Funny, but those are exactly the sentiments of the audience watching the film. Visually splendid but dramatically inert, “Wonder Wheel” plays like an idea plucked from Allen’s reject pile. About all it’s got going for it is a sense of time and place. Set in Coney Island’s famed amusement park in the 1950s — and filmed by Vittorio Storaro with a near-Technicolor glow — this tale of an unfulfilled woman’s last chance at romance is a self-pity party of the first order. It’s one of Allen’s periodic attempts at straight drama…and as is usually the case when he blows off any semblance of humor, it’s a hard slog. Winslet’s Ginny is a 39-year-old former actress (apparently she was limited to one-line roles) now married to Humpty (Jim Belushi), the big-bellied, balding operator of the Coney Island carousel. They live in an apartment over a shooting gallery; their marvelous view of the nearby Wonder Wheel is undermined by the constant din of gunshots. Early in Allen’s script the couple are visited by Humpty’s estranged daughter, Carolina (Juno Temple), who married a mobster, divorced him, sang to the feds and is now on the run from her ex’s murderous associates. She begs for Humpty to take her in. Carolina’s arrival coincides with Ginny’s affair with a much younger lifeguard, Mickey (Justin Timberlake). Mickey is one of Allen’s more impossible creations, an aspiring playwright who talks like a college freshman in the first throes of intellectual pretentiousness. And boy, does Mickey talk. He’s the movie’s narrator, telling us what’s going on even as we’re watching what’s going on. Timberlake can do nothing with the character. “Wonder Wheel” focuses on Ginny’s emotional and moral disintegration after learning that Mickey and Carolina are canoodling on the side. Her shrilly-expressed angst and jealousy are so altogether off-putting that not even Winslet can make her anything but irritating. Allen is here clearly inspired by the Fifties New York dramas of Arthur Miller and William Inge (“Come Back, Little Sheba” especially), but those plays transcended their protagonists’ moral and intellectual shortcomings. “Wonder Wheel” doesn’t come close. Even the most devoted Woody Allen fan now approaches his new pictures with caution. Which Woody will we get this time? 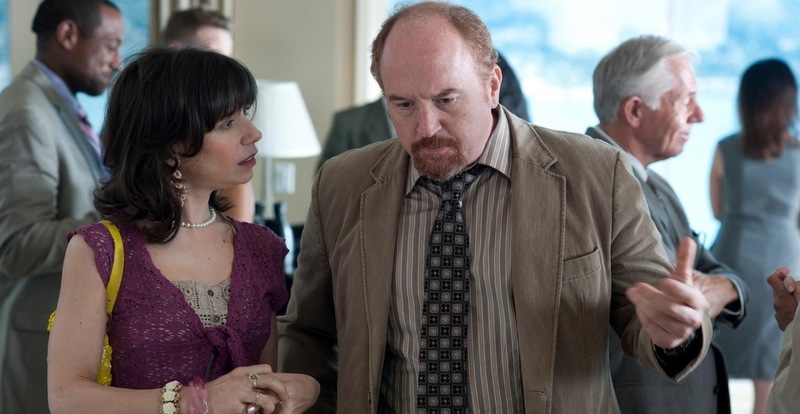 The classic comedian who blends big laughs with serious themes? Or the dour dramatist who dishes joyless Scandinavian gloom? 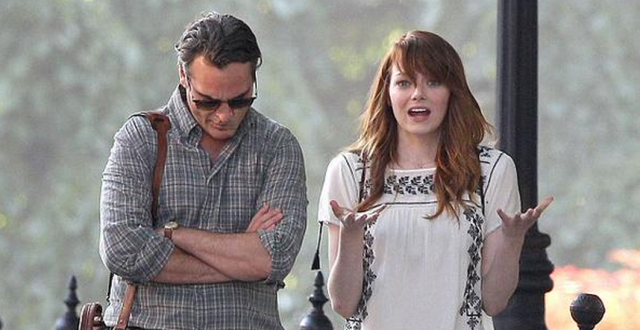 “Irrational Man” falls mostly into the latter category. At its most basic level it is, like 2005’s “Match Point,” a murder drama. This time around, though, the satisfactions are relatively few. Abe (an excellent Joaquin Phoenix) is an academic superstar and a miserable human being. Revered in philosophy circles, he’s a provocative teacher (“Much of philosophy is verbal masturbation”) and a rather seedy alcoholic who carries a hip flask and isn’t afraid to pull a stiff one while trudging across the quadrangle. Having burned many bridges, Abe shows up for the summer session at a New England college and immediately draws the attention of two dissimilar women — even though he’s obviously a weary depressive with a substantial middle-age gut. Meanwhile Abe launches an intellectual relationship with Jill (Emma Stone), a bright student who clearly idolizes him. Give him points for keeping his relationship with Jill platonic — at least until it isn’t. Tragedies require great performances. Otherwise they’d be unbearable. Lucky for Woody Allen, then, that “Blue Jasmine” stars Cate Blanchett giving a performance with Oscar written all over it. “Blue Jasmine” is one of Allen’s “straight” movies, though it does have a few moments of bleak humor. Theater dweebs will immediately recognize it as a modern updating of Tennessee Williams’ “A Streetcar Named Desire.” Our Blanche Dubois stand-in is Jasmine (Blanchett), the former pampered wife of a Wall Street mover-and-shaker who has gone to prison as part of a Bernie Madoff-ish scandal. Now the brittle, babbling but still weirdly glamorous Jasmine (real name, Jeanette) has washed up penniless in the San Francisco apartment of her adopted sister Ginger (Sally Hawkins). She’s dependent on the kindness of strangers (Ginger is kind almost to the point of being a punching bag), and should be groveling with gratitude. But, no, Jasmine puts on airs, complains about having had to sell her furs and jewels, sneers at her now-proletarian living conditions, and winces painfully at the racket generated by her two young nephews. 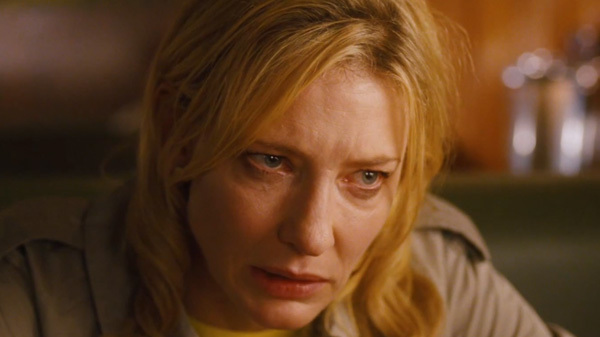 “Blue Jasmine” is a curious piece. We start out utterly contemptuous of this fallen trophy wife whose husband’s crooked dealings left hundreds of thousands of investors (among them sister Ginger) high and dry. So now she has to get a job as a dentist’s receptionist and sleep on a couch? Serves her right, right? But so powerful is Blanchett’s peformance that by the end we are (against our own good moral judgment) practically rooting for her to hook up with a rich, unsuspecting guy who can maintain her in the style to which she has become accustomed. Some films are lavish eight-course meals. Others are pastries.